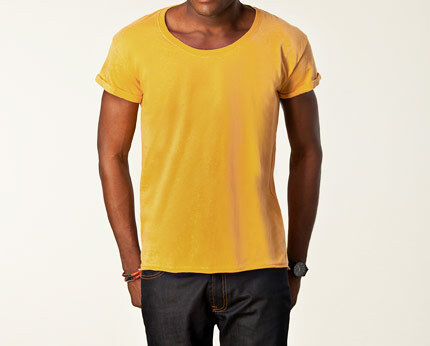 This super stylish round neck t-shirt is a perfect choice for any man’s casual wardrobe right now, it’s a staple look for this season that will see you through till summer and it offers a laid back edginess with its raw edges and rolled sleeves. This design features a soft fabric with a narrow ribbing; the shape is box fit that offers a laid back look and feel, and the rolled up sleeves fit perfectly with current trends right now! This design features a raw edges hemline that is incredibly trendy right now and perfect for any man wanting that street casual vibe for a day look. The rounded neck completes this edgy design! 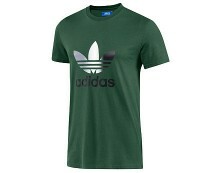 This t-shirt will team with almost anything, try a pair of slim fit jeans and converse style pumps for a great daytime look. 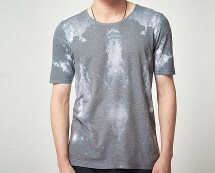 Chinos, drop crotch jeans or joggers will help create many different looks and ways of wearing this ideal tee! 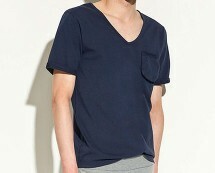 Extra value homewear t-shirt with a pocket for men. 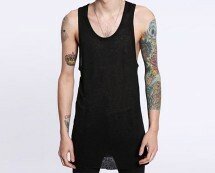 Buy it now for £5.99 at zara.com.